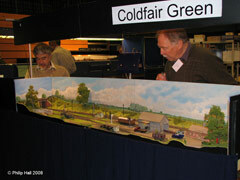 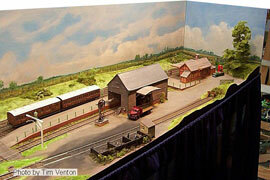 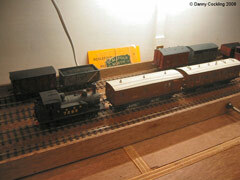 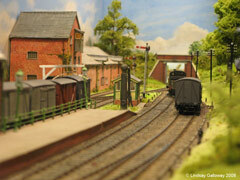 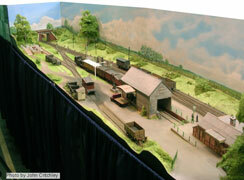 The members of the Norfolk & Suffolk Scalefour Group are building 'Coldfair Green'. 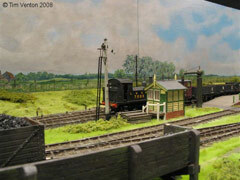 Although entirely fictitious, the layout is based in East Anglia between 1920 - 1960 and is a typical country terminal station serving a large village. 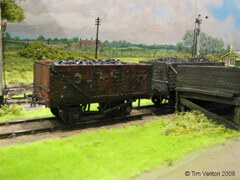 Both passengers, coal and goods traffic are catered for, with the addition of a private mill siding. 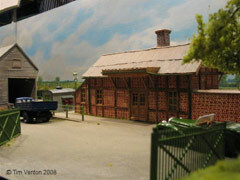 All structures will be hand built from card or plasticard and represent East Anglian architecture. 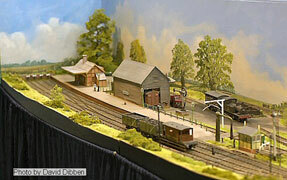 One of the aims is to build a portable layout small enough to be used in the average house and to be able to be transported by car with the minimum of fuss so that members can share the layout.